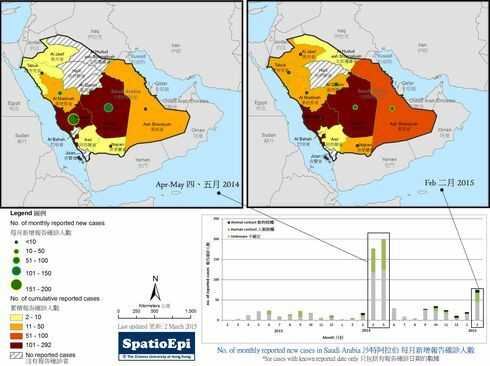 MERS-CoV infection began as a local threat in Middle Eastern countries as a result of human exposure to infected camels. Human-to-human transmissions have also been reported, especially in health care institutions because of defective infection control precautions. 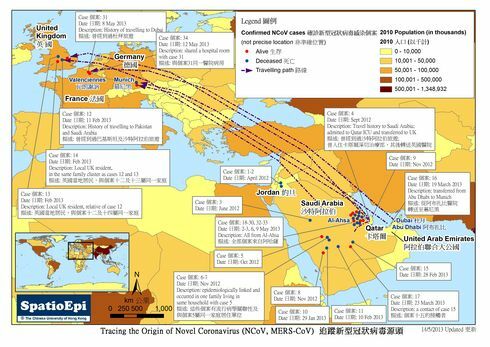 The map shows the cumulative distribution of MERS-CoV infections occurring at country level (black label on map), after excluding imported cases. 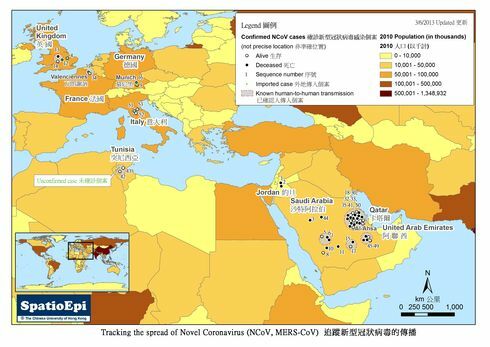 Outside the Arabian Peninsula, all local infections were caused by human-to-human transmissions, as reported in United Kingdom, France, Tunisia and Iran. 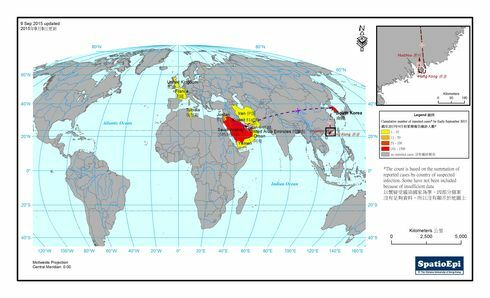 In May 2015, there was one reported case in South Korea from a patient with travel history in the Middle East. 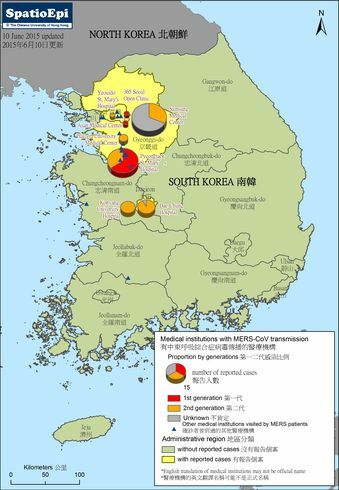 Secondary and tertiary transmissions within Korea then occurred in his household and the hospitals. One infected person had travelled from Korea to Huizhou, Guangdong via Hong Kong (red label on map), and whose confirmed diagnosis was only made afterwards. Characteristically most of these secondary and tertiary infections were relatively mild clinically. The last laboratory confirmed case was reported on 4 July 2015, hence a signal of cessation of the outbreak in South Korea. In this outbreak, there were 185 confirmed cases of which 36 died. 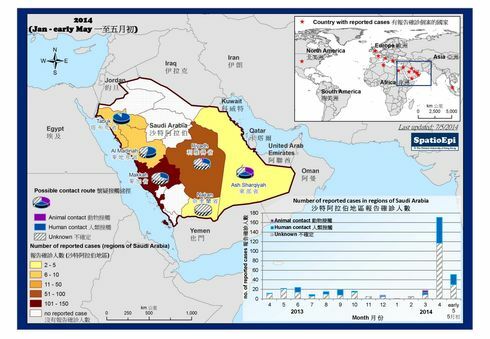 As of September 2015, World Health Organization has recorded a total of over 1500 cases worldwide with over 500 deaths in the 3-year period since the first case of MERS-CoV infection was reported. With the efficient transportation system in operation for the human population, it is inevitable that the virus is going global! Data for the map were derived from reported statistics of the World Health Organization and FluTrackers.